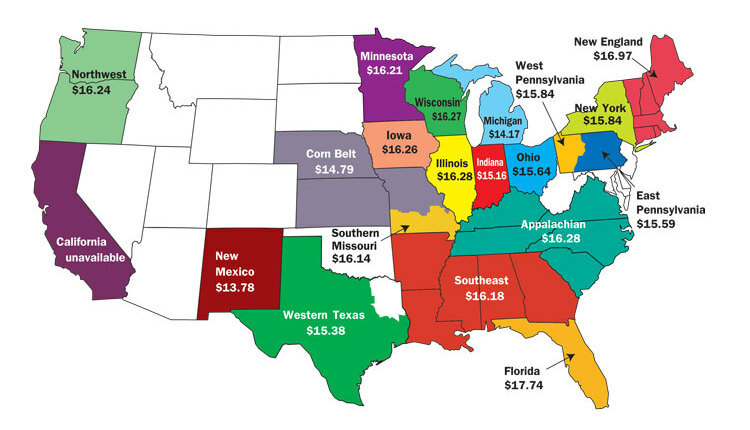 The author is the Director, Market Intelligence, American Farm Bureau Federation. 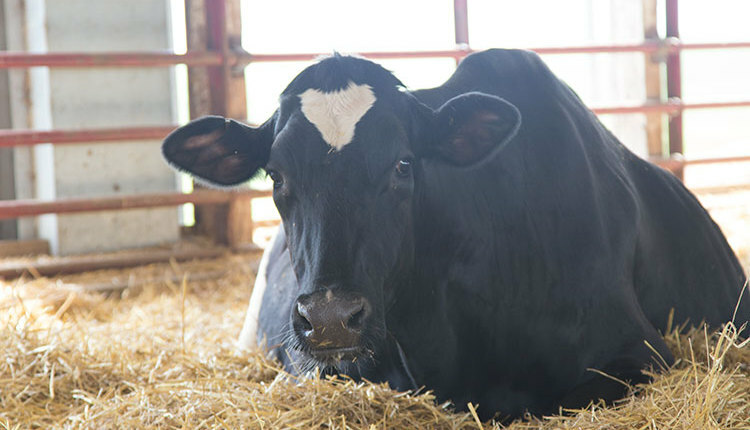 USDA just released long-term Agricultural Projections to 2027 for the U.S. dairy industry. 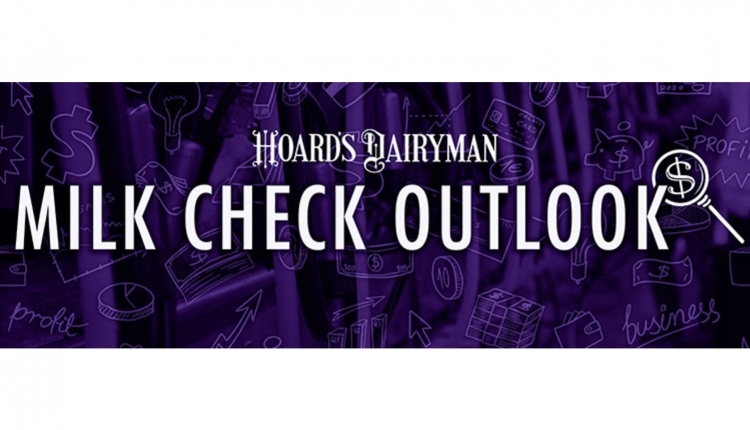 With these forecasts, USDA confirmed what we’ve all known for some time: the key to success for U.S. dairy producers and dairy farm income lies outside U.S. borders. 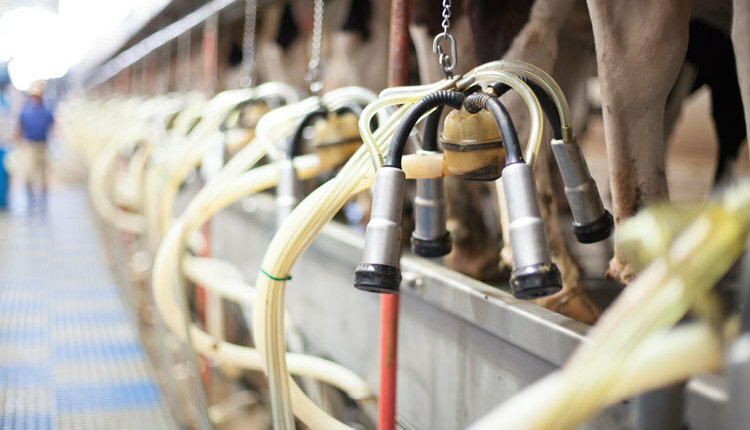 For 2017, U.S. dairy farmers will produce a record 215 billion pounds of milk, but over the next decade USDA projects America’s milk production will surge by an additional 34 billion pounds — or an extra 93 million pounds per day. USDA also knows that the domestic U.S. market is mature. The growth in U.S. domestic consumption was up less than 2 percent annually. Where then does the 34 billion pounds of milk coming online over the next decade need to go? USDA projects exports will expand by nearly 34 percent on a skim-solids basis — absorbing billions of pounds of milk each year. So it follows that to meet this projection exports will need to rush past the current level of 14 to 15 percent of U.S. milk production. If these exports are realized, U.S. milk and commodity prices are expected to rise as much as 24 percent by 2027. Counting on higher milk prices? The threat of a NAFTA withdrawal would certainly rain on that parade. Nearly $2 billion of dairy products are exported to Mexico and Canada each year — the top two export markets for U.S. dairy. Combined, they represented 30 percent of all dairy product exports in 2016 and accounted for approximately 10 billion pounds of milk. 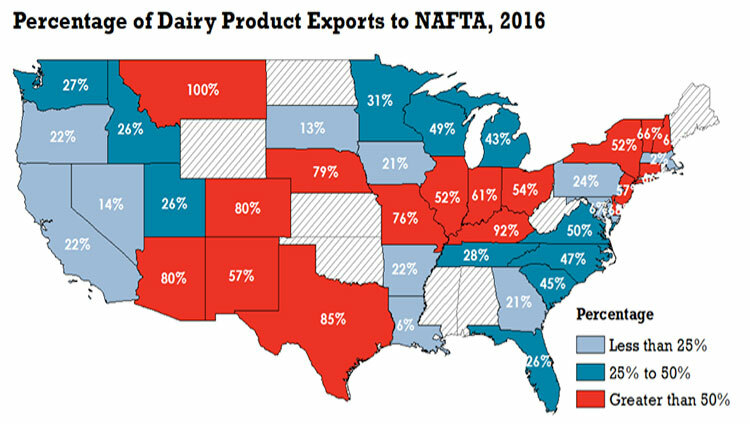 More importantly, every state in the U.S. has a dairy farm, and nearly every state’s dairy exports depend on NAFTA. During 2016, 17 out of 39 states with dairy export data sent more than 50 percent of their exports to Mexico and Canada. 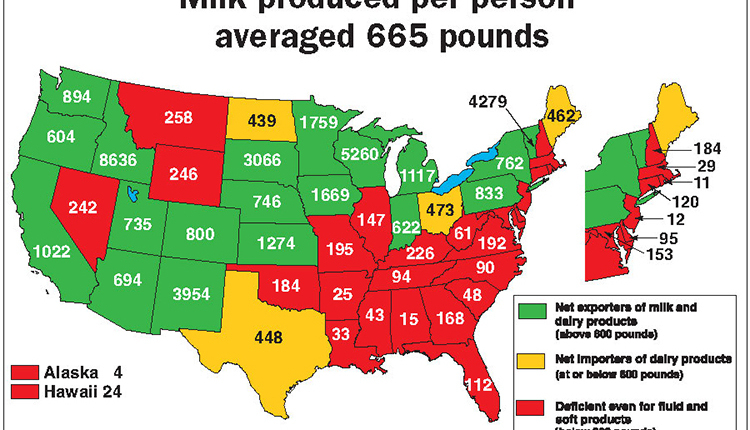 America’s Dairyland, Wisconsin, just missed the cut at 49 percent. 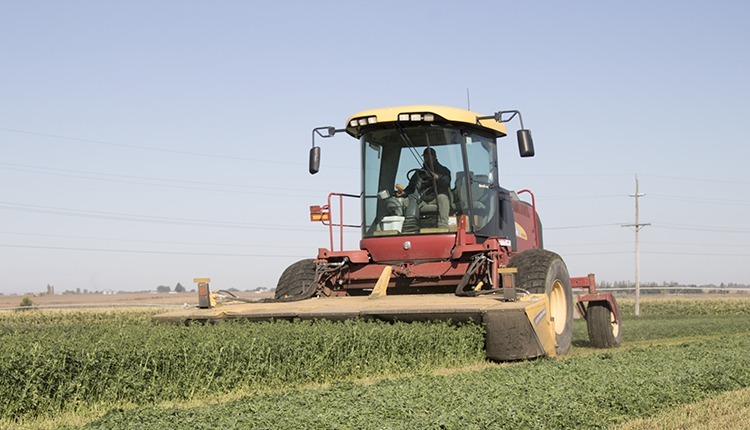 Farm Bureau's analysis indicates that agriculture in every state depends on NAFTA. 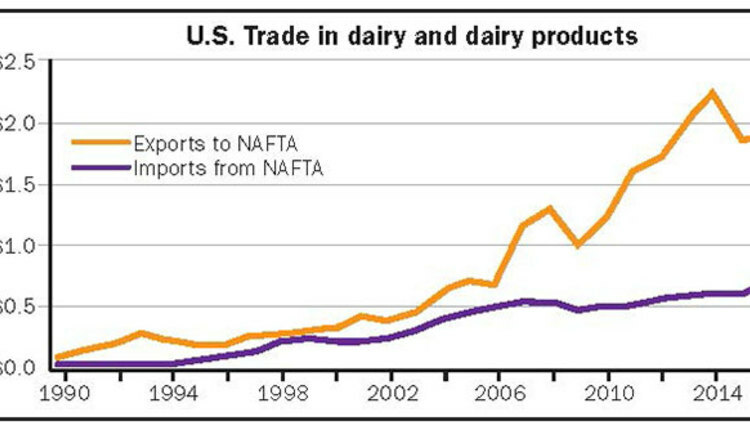 It’s no secret the dairy industry would be hurt should the U.S. withdraw from NAFTA. 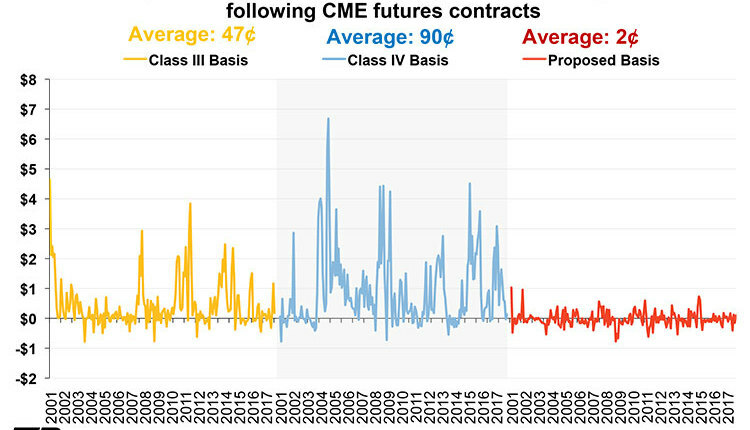 In the short run, cheeses, butter, and other dairy products would build in inventory and push prices lower. In the long run, plants would likely evaluate their supply arrangements with producers considering higher tariffs and reduced market access — putting at risk many U.S. farm families. 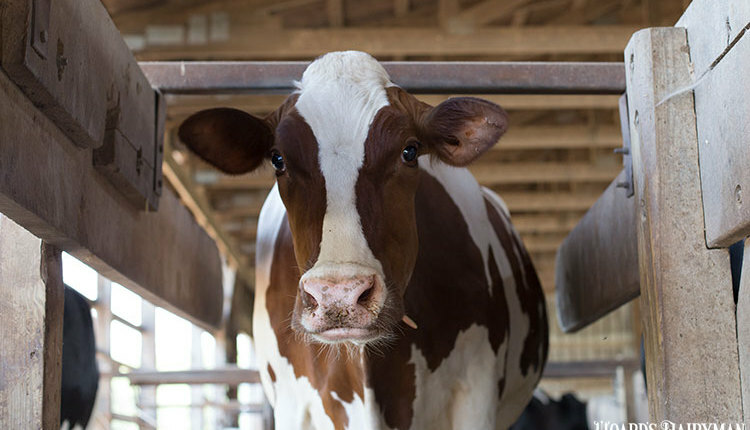 NAFTA can certainly be improved for the U.S. dairy industry, but walking away at such a critical juncture would be devastating to the entire farm economy.